Wanna Run But Can't be there on Race Day; Now You Can Run Anywhere, Anytime. Shirts Guaranteed when registered by Nov. 8th. Pick up t-shirt for Virtual participants is Nov. 16th 4:30 PM – 6:00 PM. For those who want to set up a fundraiser homepage to collect monetary donations from friends and family. Learn more about a fundraiser participating in this event, click on one of the names below. 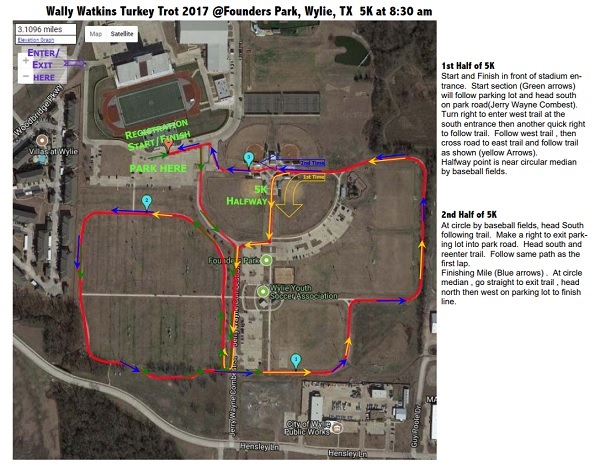 Packet pick up will take place on Tuesday, November 26 at Wylie High School football stadium (visitor side of stadium, south parking lot). If you are unable to pick up during those times, your packet will be available on race day. 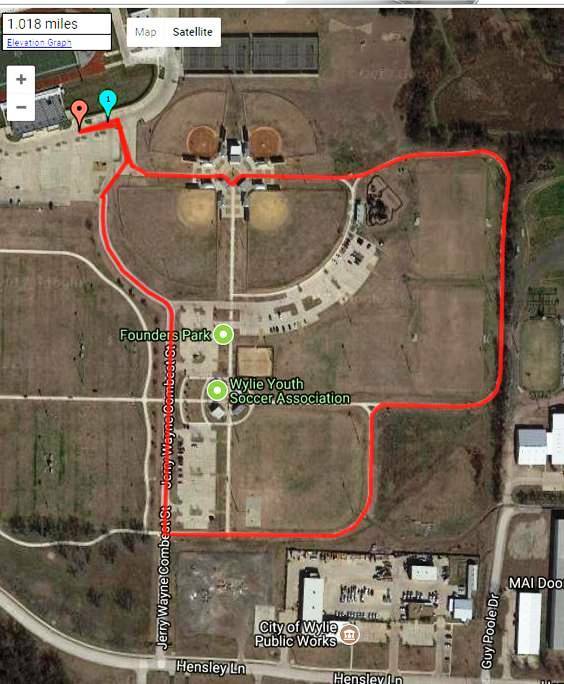 Join us for the run to benefit Wally Watkins PTA. A portion of proceeds will help us build our outdoor learning center!!! Runners and walkers of all ages and abilities are welcome. Everyone is invited to play in the bounce houses. Be sure to stick around for the fun! Short sleeve t-shirts are guaranteed to all runners/walkers who sign up by Nov. 8, and are available to late registrants & race day entrants while supplies last. Plenty of post-race refreshments and HOT CHOCOLATE available for all participants, as well as goodie bags with coupons. Turkey Trot spirit sticks will be given to all students who participate. Placement medals will be given to all top 3 finishers in each age bracket as well as ribbons to all Fun Run participants. Everyone is encouraged to dress up like a Turkey and a prize will be awarded to the best dressed turkey! When this page loaded, the official time was 12:10:29 AM EDT.